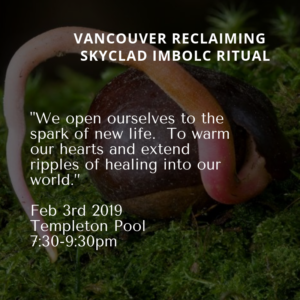 Vancouver BC – unceded Coast Salish Territory | "My law is love unto all beings"
We will talk about Spring Equinox when the two worlds meet; darkness and light and everything in between. 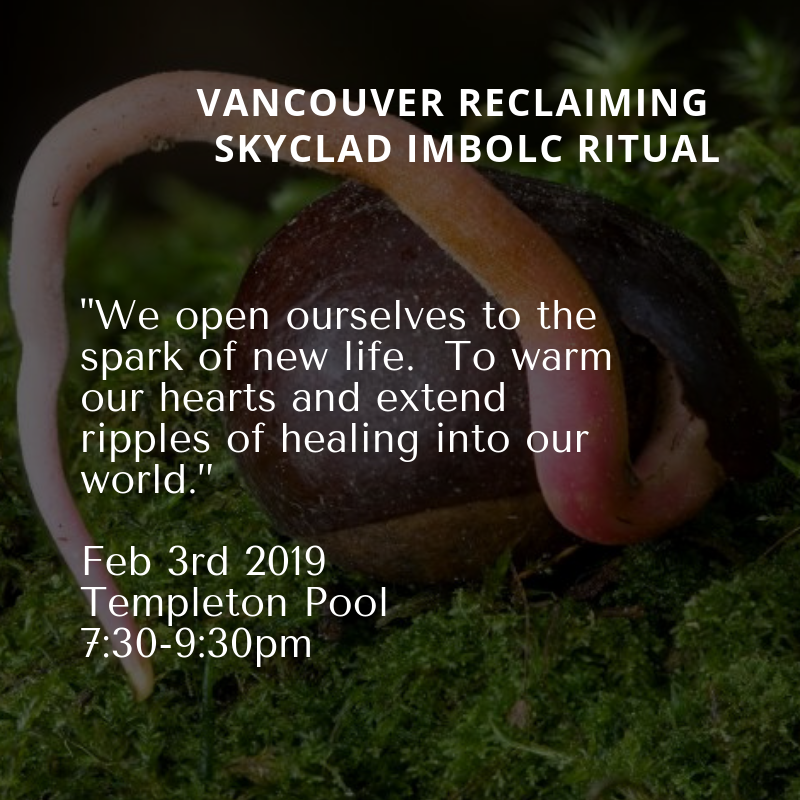 If anyone feels like it they can bring something from nature that heralds the warming of the earth and the brightening of the skies. Come and talk about books! 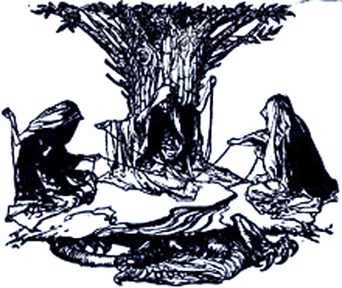 Many say a witch’s journey is one of endless reading. Which books have you loved and found helpful? Feel free to bring some of your favourite along to share with the group. Where: Broadway and Fraser area: exact location announced once confirmation of registration received. Ashtare: Reclaiming Witch Ashtare has awe and reverence for the creation of the multiverse, the Gods and Goddesses and to Mystery in all possible forms. With the power of the moment, in ritual and in the mundane; learning and opening with others decimates hierarchy. All beings are magickal beings, and bring learning to those that open, watch, and listen. Everyone is welcome. E-mail or call to register or to discuss any questions or issues that you have about the class. Energy, intention and will intertwine to manifest desire. 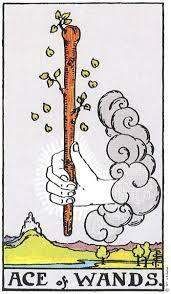 In the south we use the fire of our passions and our wand to take aim with intention and the power of the south “To Will.” Like the Tarot’s Magician who holds a wand above his head as he points to the earth we will our heart’s desires into being. Come and explore the Art of Intention with us as we create and take aim with the Wand of Our Heart’s Desire. This work will be held in ritual space in a small intimate group. 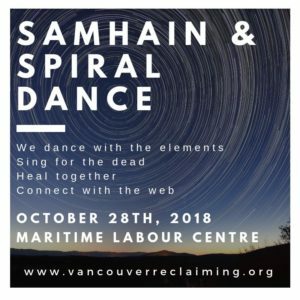 Building up to the Solstice moon, we pull filaments of connection and celebrate with the stones, bones, crones and crows. 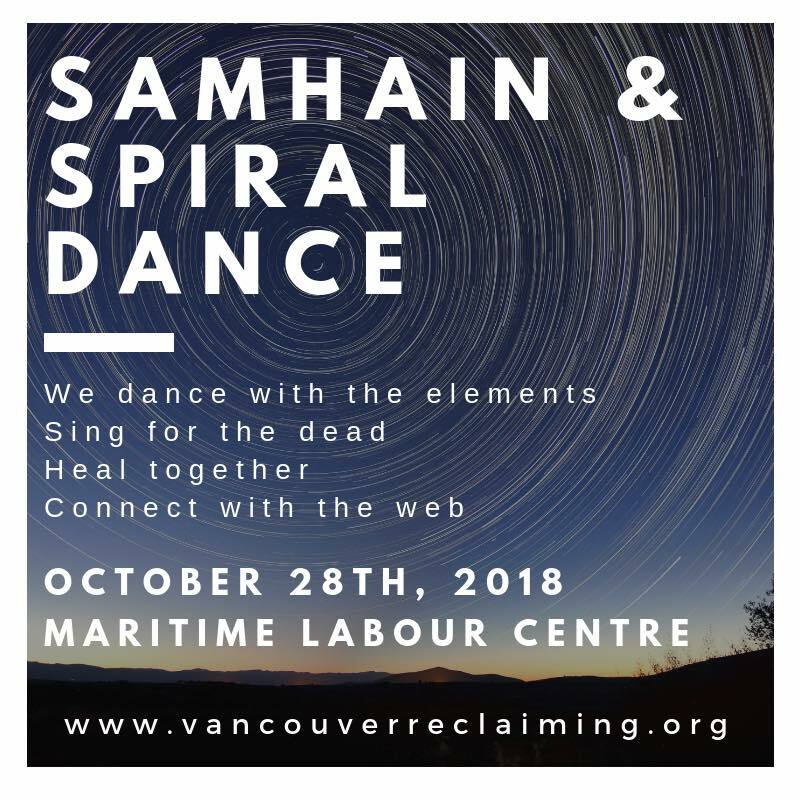 Directions: The inside ritual space is on the south most corner of Britannia Community Centre, above the ball field and to the right of Grandview Park, in the back lane West of Commercial Drive at Williams Street. You are encouraged to bring comfortable seating for trance and a small food item to share. Roles available, if you are interested in taking on a role, please contact Cara at agrocn@hotmail.ca. As we head into the darkest time of year, where do you find light in your life? We will discuss the spiritual and cultural connotations of Light and Dark. You are encouraged to bring examples (physical or in story form) of ways you see the themes of Light and Dark play out in your practice and the way you move through the world.